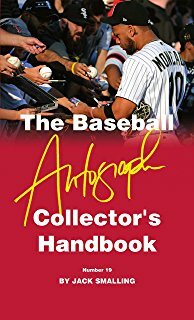 Every serious baseball autograph collector should own the latest copy of Jack Smalling’s book, The Baseball Autograph Collector’s Handbook ($20.95). 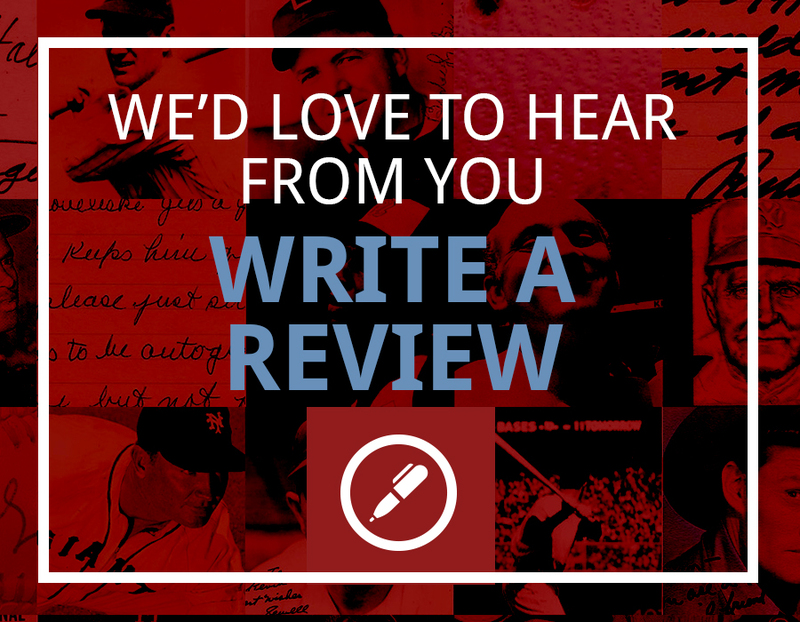 Inside you will find all kinds of great information, including active addresses to mail your requests to thousands of retired big leaguers. Always be polite when making your request. Don’t forget to include the item or items you wish to be signed—I suggest no more than two items at a time, and ALWAYS include a self-addressed, stamped, return envelope for the recipient to use for returning your items. Never send anything you are unwilling to ‘lose’ in the process. And if you don’t have anything like a baseball card or a photo to send, consider sending an unlined, 3”x 5” index card. SCD is a bi-weekly magazine and the longest-running such publication in the hobby. 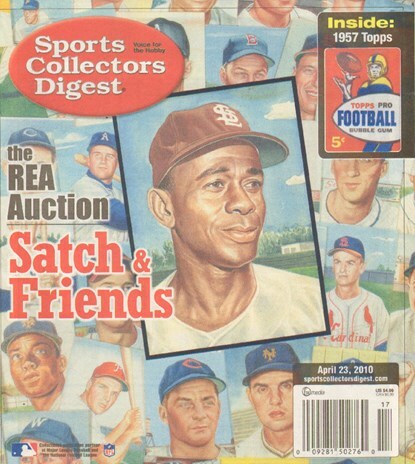 For more than 40 years, Sports Collectors Digest has been a great source of information on everything from: trading cards to memorabilia; autographs to game-used bats; and sports artwork to 19th century rarities. Features include interviews with current and past sports stars, plus great pricing guides to help you get the most from your collection. AuctionReport.com is a website devoted to covering the auction dates, news, material, and all other relevant business of more than 45 auction companies who specialize in sports memorabilia and autograph material. AuctionReport.com provides daily up-to-the-minute, customized content and its free, weekly email newsletters are sent to more than 30,000 subscribers! From the start of an auction to its close and including all relevant news in-between, AuctionReport.com provides timely information to collectors to keep them informed on everything they need to know. AuctionReport.com. is the best single source of auction information for collectors to stay current with auction news and information. (TAR) is a bi-monthly publication by well-known collector Jeff Morey. 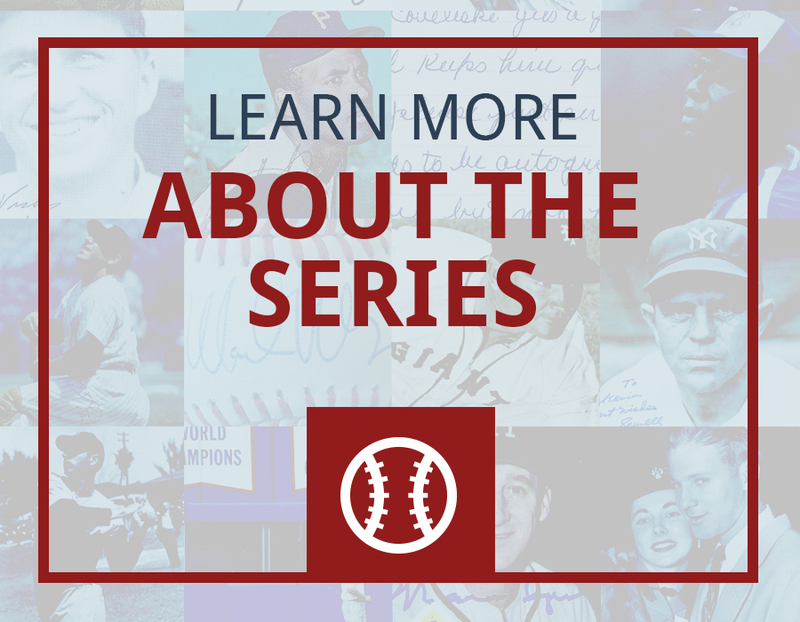 Since 1978, TAR has been providing collectors with timely information on all-things-autographs, including updates on player and celebrity signing habits and active address updates for mailing out your requests. In fact, Joe had gone back to his native California, where he retired from baseball. I sent him a request with some items to sign, and to my surprise and delight he signed EVERYTHING I sent! Like countless other fans, I couldn’t get enough of Joe, so I repeated the process, sending him between five and ten items each time. The average turnaround back then for less famous Hall of Famers was about two weeks. But Joe’s return rate was dependably swift, usually within seven days. I found this remarkable, especially for someone of his stature, whose mail I surmised, was probably mountainous—not to mention other demands on his time. Still, by the time I left high school my collection boasted 70+ Joe DiMaggio autographs, more than any other player, and included one of my favorite pieces. In those days, getting high-quality images for signing was not easy, but I managed to find a gorgeous black-and-white 8” x 10” glossy photograph of Joe, which I bought for $1.00. The cost was no small sum for me, but I knew my investment would become a priceless possession once Joe added his name to it. I wasted no time sending it off with a special request for him to sign and personalize it to me. Like a boomerang, it was returned a few days later, beautifully signed with the sentiment, “To Kevin Best Wishes Joe DiMaggio.” It was instantly one of my most prized keepsakes, especially because Joe had personalized the image just as I had requested. Years later, around 1990, I read that Joe DiMaggio had stopped answering his fan mail decades earlier, and the duty of signing Joe’s name to the endless stream of material that fans like me had been sending all that time was outsourced to his sister, Marie. Not surprisingly, the article stated that the chore of signing autographs for her brother was a “full-time” occupation. Marie was not only diligent in returning those items to their unwitting and thankful recipients as fast as a Joe D line-drive, she was also reasonably good at replicating his rather unremarkable writing style. Could it be that my coveted collection of Joe D material was, in fact, a hoard of “Marie DiMaggio” autographs masquerading as the Yankee Clipper’s? Say it ain’t so, Joe! The possibility prompted my first in-depth analysis of a player’s writing. Using samples I knew to be signed in person compared to those obtained through the mail (including my entire boyhood stockpile), I noticed subtle but distinct differences and consistent distinctions between the two groups. The examination was revealing, and my verdict was as disappointing as it was conclusive: Marie DiMaggio was the creator of all the “Joe DiMaggio” autographs I had received through the mail. Joe signed none of them, including my prized 8”x10”! Joe’s ghost autograph signed by his sister, Marie DiMaggio. This episode introduced me to the terms “ghost signed” and “secretarial” autographs. Neither are genuine as represented, but are instead nonmalicious forgeries created by a person who is authorized to sign someone else’s name. Both terms are often used interchangeably, since the signer in both cases is empowered to produce a nonauthentic signature. Forgeries, of course, are also nonauthentic signatures. Unlike their aforementioned counterparts, however, a forgery is unauthorized and created with malicious intent to deceive and/or defraud a third party. Forgers also do their best to mimic the autograph they try to replicate. A designated ghost signer may or may not attempt to copy the genuine signature style they are authorized to sign. Whether or not Marie consciously attempted to duplicate Joe’s signature, she was good at it. So good, in fact, that some of her work is still bought and sold today as her brother’s genuine autograph. "Kevin Keating's love of baseball has a purity that matches its longevity. It has brought him into charming contacts with many of the sport's greatest stars. To read his charming stories is to experience first love a second time." 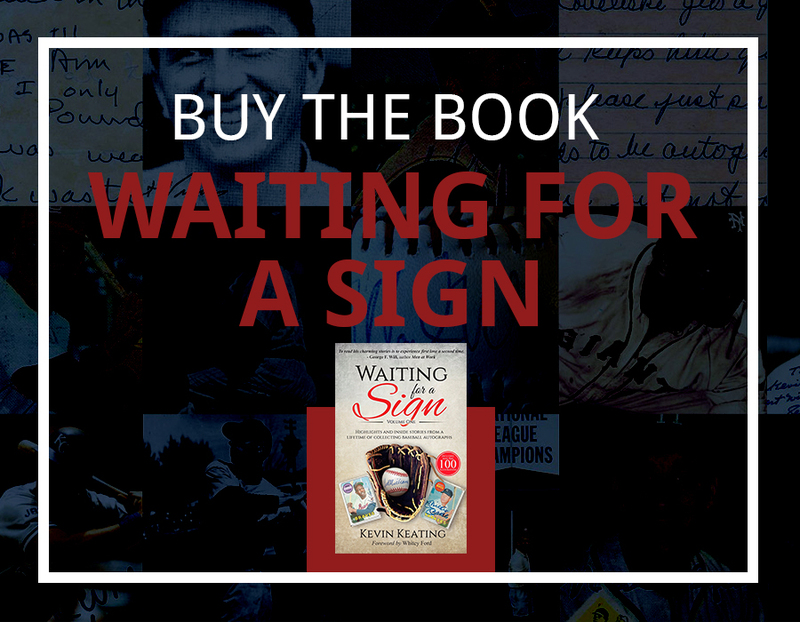 Here is the enviable life story of this baseball superfan recounted in a mosaic of never-before-told stories resulting from his many autograph encounters and friendships made with some of the game’s biggest stars. © Kevin Keating Books. All Rights Reserved.